Anti-gay laws in Russia: Why gay people should be grateful the 2014 Olympics are in Sochi. As head-scratching and depressing as it was when the International Olympic Committee and FIFA awarded their premium events—the Olympic Games and the World Cup, respectively—to countries where the human rights of minority groups are treated the way coyotes treat teacup chihuahuas, it now seems like a stroke of good fortune that Russia is preparing to host the 2014 Winter Games and the 2018 World Cup. Without the hook of February’s Winter Olympics and the millions of dollars that American individuals and corporations have already spent to take part in, advertise at, or televise the games, the United States would have much less standing to protest the rank injustice of a new Russian law that criminalizes “gay propaganda.” For that reason, the Sochi Olympics is the best thing that ever happened to Russia’s gay men and lesbians. Face it, newspapers are more likely to publish stories about a much-loved sporting event than articles about Vladimir Putin’s attempts to stoke xenophobic, homophobic prejudice—and readers are more likely to read them. Gay people are treated appallingly in countries all over the world, and the only homophobic hellhole that’s being editorialized against is the one where the five-ringed flag will wave next February. The Olympic Games provide a visceral connection with something that might otherwise seem distant and unrelatable. While it’s difficult for even the most empathic American to imagine how it would feel for a faceless foreigner to be targeted by a Russian law, it’s easy to become enraged at the thought of a beloved and garlanded athlete being tossed in jail simply because he is gay. Those same Americans might even realize that if they were lucky enough to attend the games, they, too, could be punished simply for declaring that they love their lesbian sister-in-law. We’re not seeing that kind of concern-trolling in the run-up to Sochi. Western outrage at Russia’s virulently homophobic law is more on par with the long international sports boycott of apartheid South Africa. This is one of those rare cases where outraged individuals and uncomfortable corporations have a shared incentive to raise a stink about something offensive and hateful that’s happening elsewhere in the world. 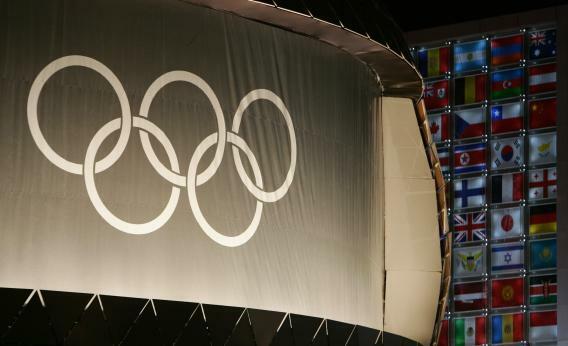 Never mind the multinational companies that spend a fortune to be top-tier Olympic sponsors. NBC itself has sunk hundreds of millions into the games, and you can be sure they’d rather run heartwarming human-interest packages about figure skaters than news stories about homosexuals. Forget boycotting Russian vodka. The best way to protest Russia’s anti-gay legislation is to keep pointing out how heinous it is. Complain to your friends, to NBC, and to the IOC. On Feb. 23, 2014, when the Sochi Winter Olympics are over, Russian gays will be just as alone as their counterparts in Uganda or Zimbabwe. The next six months are a special opportunity, one we shouldn’t let go to waste.